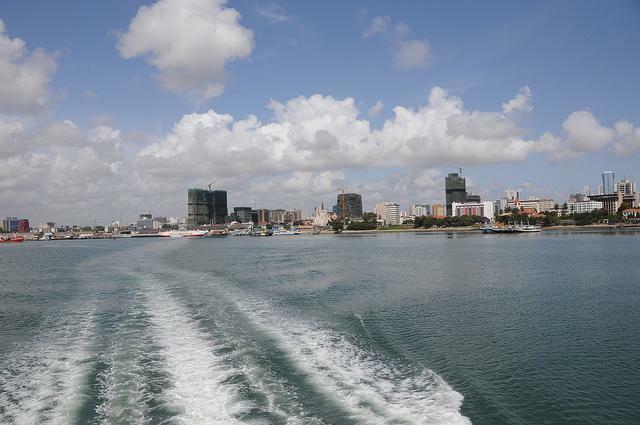 You only have two options to get to Zanzibar from mainland, flight or ferry. Flights to Zanzibar start at $60 one way, and while a company like Precision Air might be tempting with the lower prices, they do not have the best reputation with regards to punctuality or reliability. For 80 USD per person, you are best advised to book with Coastal Aviation. Zan Air flight from Dar es Salaam to Zanzibar could be found from 40 USD. However, the ferry is obviously cheaper with $35 one way economy class and 40 USD for first class. 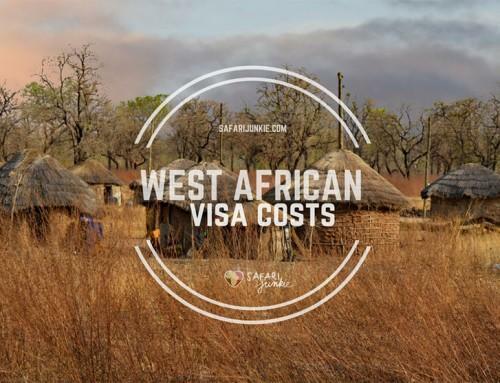 There is a cheaper night ferry to Zanzibar, but it can be difficult to get on that one as a non-resident plus you are spending the entire night on a boat (as opposed to the two-hour crossing during day-time). 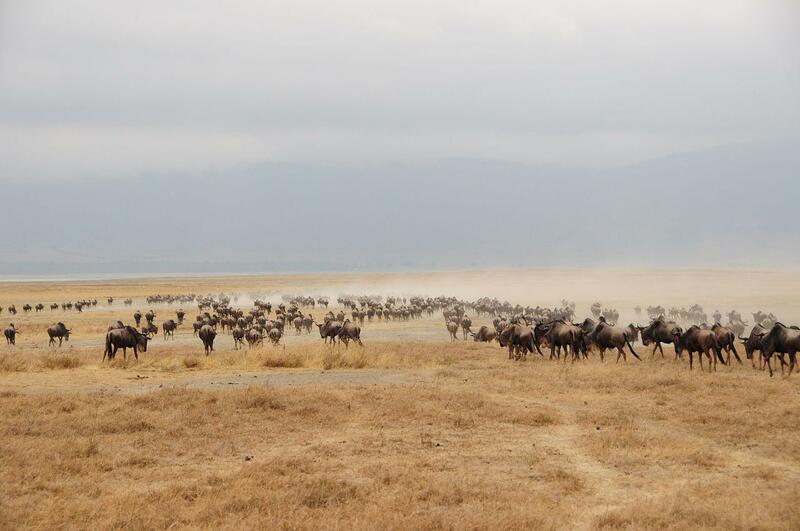 Read more about air travel in Tanzania to see all Tanzanian airlines and small aircrafts flying to Zanzibar. 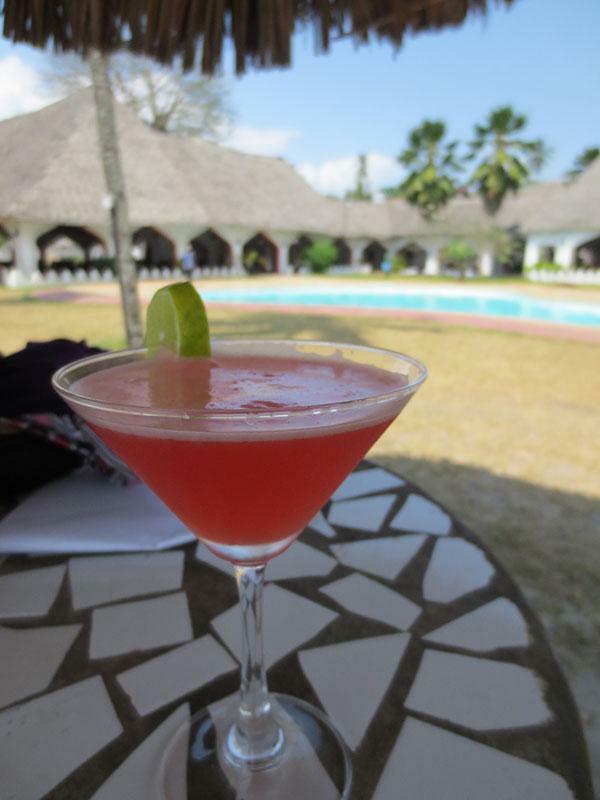 If you arrive by ferry and base yourself in Stone town for the first night, you do not need a taxi or transfer – just exit the ferry building and turn right, ignoring all the taxi drivers and papasi (touts) and you are at Forodhani Gardens next to the old city centre of Stone Town. 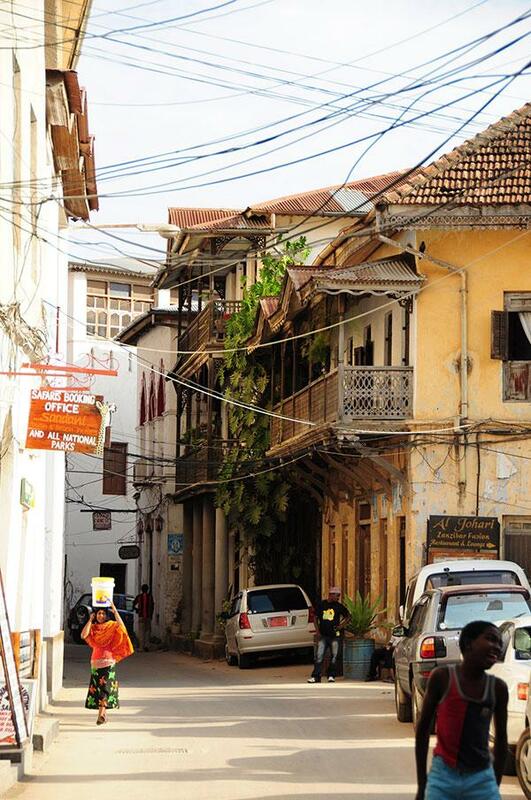 You can walk to almost any accommodation within Stone town – just be patient as you will get a lot of papasi (touts) offering their help or trying to tag on to you, and you will get lost in the maze of alleys. You can offer a local a tip of 1,000 TSH to help you with the shortcuts through the city centre, but you can also just ask shop owners for your accommodation of choice. From Zanzibar airport, you will need to get out of the airport to your right, the bus station is only about 300m away from terminal. 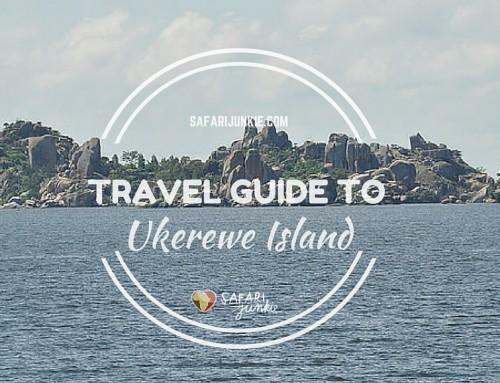 Local transport takes you to the Stone Town centre for 300-500 TSH the cars usually have U/Ndege as their sign and they will drop you near Darajani Market from where you can enter the old town in search for your budget accommodation. If you are true backpacker on Zanzibar, then you will probably go for public transport. 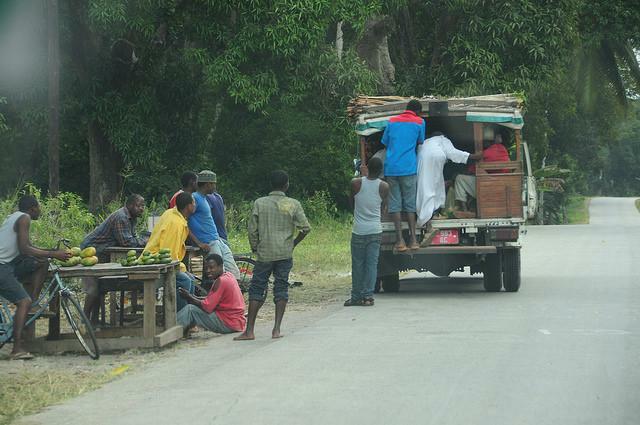 Public transport on Zanzibar is pretty easy although it comes with the typical African chaos. 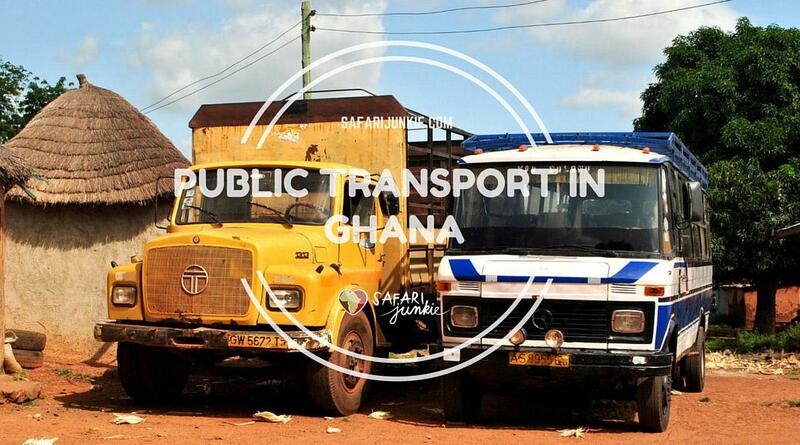 There are dala dala (converted pick up trucks with benches which fit up to 22 people) or convoys (buses). 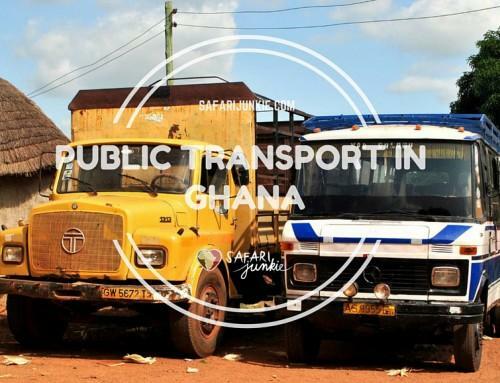 Every mode of public transport has two people working together: the conductor (konda) is the person you should do all the talking to – the driver only drives, any other person is just meddling in and might not always help you. You recognise the conductor as they are supposed to wear blue/yellow shirts. The buses to the North (Nungwi, Kendwa, Matemwe, Kiwengwa) leave near Darajani Market. For the South (Kizimkazi, Jambiani, Paje, Bwejuu, Michamvi), they sometimes start at Darajani, but you might have to walk towards the East German Heritage apartments blocks around the corner to the right or take a bus with the sign M/KWEREKWE (not more than 500 TSH) where all the buses/daladalas to the South East coast leave. BEWARE of the touts again: there is always someone who pretends to help by showing you the right bus and then asking the fare beforehand, usually asking double the price or more to make their share. Contrary to what they will tell you, you do NOT pay before boarding the bus, and you should only pay to the conductor when you are already close to your destination. 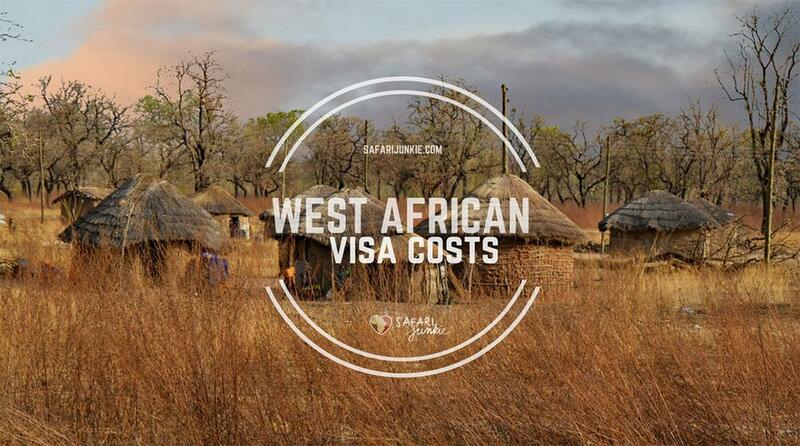 Prices are not higher than 2,000 TSH per person one way. Sometimes they ask you to pay for your bags, but you shouldn’t pay more than 1,000 TSH per bag. If there is two of you, negotiate (directly with the conductor!!) 5,000 TSH for both of you plus bags, it is a fair price. 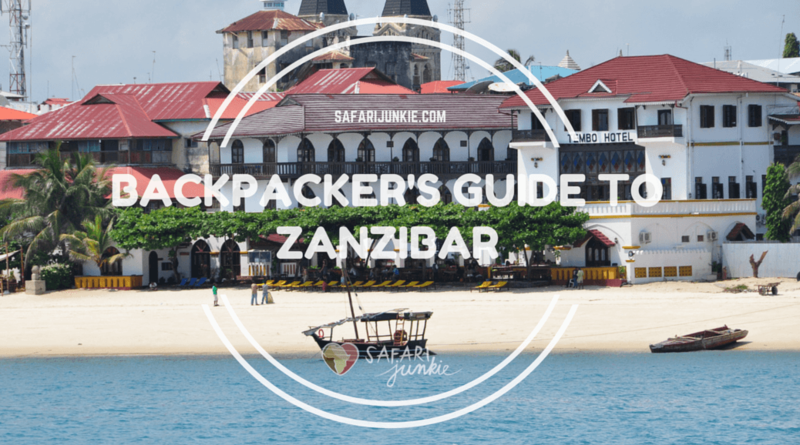 True backpacking options on Zanzibar are limited, unfortunately. The reason that accommodation prices are higher in Zanzibar is due to two factors – Zanzibar is an island, so a lot of materials and goods have to be imported, and the government is pursuing policies aimed at the high-end market (completely wrong in our opinion as Zanzibar has a lot to offer for every pocket). For example, the bed night tax that accommodation establishments have to pay to the government is a minimum of 9 USD per person per night, and that is before they have paid for the workers, the breakfast or the maintenance cost. As a result, it takes a bit of work to find the real cheap stuff, and if you pay anything less than 15 USD per person per night, you can be sure that the accommodation is dodging the taxes. It is up to your morals whether you want to support or avoid this kind of behaviour. How to Find Cheap Places to Sleep on Zanzibar? You can sleep for free, at least in Stone Town, if you sign up with Couchsurfing.com – it is a great way to meet locals and expats and get insider tips. There are a few Couchsurf hosts in Stone Town, unfortunately less people offering a couch or bed on the beaches – in that case try Airbnb.com, and you will find a couple of decent budget options. 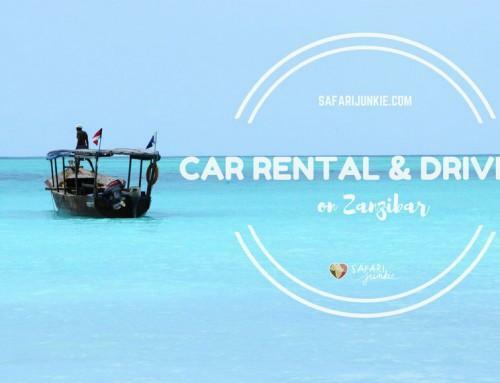 To save some more if booking a room on Zanzibar on Airbnb, register here and get free 35 USD discount on first booking. If you just walk in to places, you can usually negotiate the prices down. The level of negotiation depends on the time of the year and the place itself. If you are going into a mid-market hotel, starting with half the price as an offer is not always warmly greeted but acceptable as long as you are prepared to meet somewhere in the middle. The higher the price, the more aggressive you can be with your negotiation, but also accept that every hotel or guesthouse has its limitation. Anything within 20-40% discount should be possible. If you are in a budget place, prices are already tight, so don’t expect more than 10-20% discount. During Christmas and New Year, you cannot negotiate, and don’t try your luck too much as it is peak season and without a pre-arrival booking during that time, you can end up without accommodation or paying premium prices. In fact, everything gets crazy during those ten days because EVERYONE visit Zanzibar during that time. The complete opposite is true in May (low season on Zanzibar) – you will be able to negotiate prices down 50-60% as hotels and guesthouse are happy about any guests during that month (and it is actually a nice time to be in Zanzibar for budget travelling as the rainy season is not that bad as everyone likes to make it out, that applies more to the mainland Tanzania and the safari parks).You can negotiate further with some details if you don’t want breakfast or not bothered about some of the perks offered. The further away from the beach, the cheaper the prices – don’t be afraid to go into the second row, and even if you are away from the beach, there is no accommodation in Zanzibar further away than 1km from the beach. One thing for sure, you won’t starve in Zanzibar! 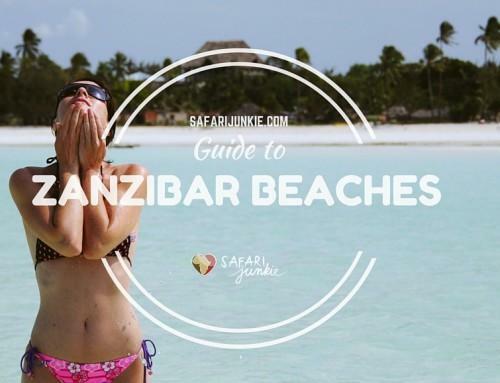 And if you eat like the locals, you can save a few bucks while backpacking on Zanzibar. 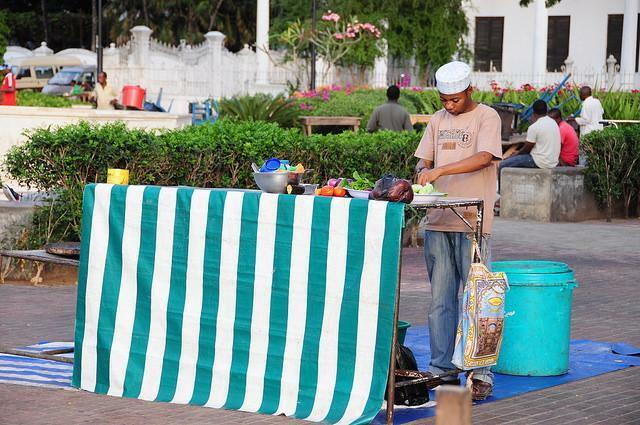 In Stone Town, the choice of restaurants is endless, but many of the tourist establishments carry the tourist price. Especially Forodhani Market in the evening is great for its atmosphere and selection of food, but it is overpriced. Only a Zanzibar pizza with a sugar cane juice has a decent price, and you should try that one. Another great spot for lots of yummy local Zanzibari cuisine at low prices is the very popular Lukman near the Slave Market – for 5,000 TSH or less you can fill your tummy with great dishes and fresh juices. All through Stone Town, you find small kiosks selling chapatti, French fries, mandazi and other local snacks for little money. Don’t be afraid to look into the side streets – it is usually the small places tucked away in a corner or a side street where you will discover yummy local food at local prices. Same applies in the villages along the beach: walk through the village and you will find locals selling home-made food in small vitrines. The easiest way to find out the best local restaurant is to ask the employees in your guesthouse where they go for food. Most will be happy to share their insider tip. 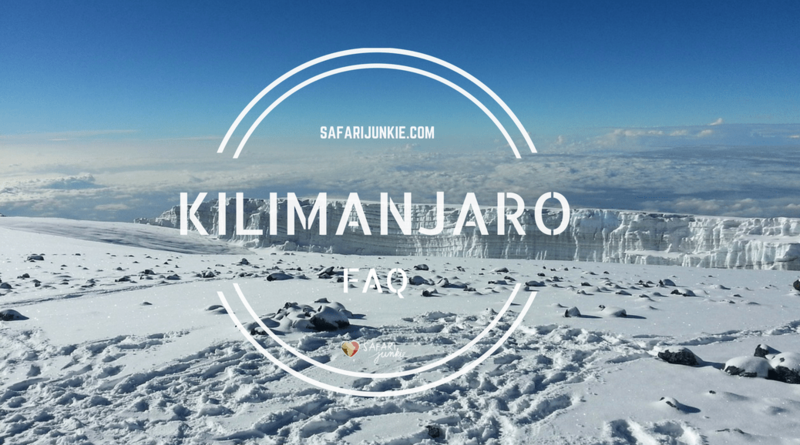 In Jambiani, for example, ask for Haji Muha – the small local restaurant makes the best Pilau rice for lunch, and for 3,000 TSH you get a nice plate and a glass of avocado-passionfruit juice. 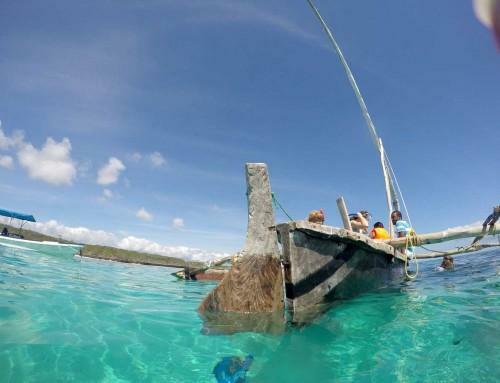 Trips and tours on Zanzibar are cheapest if you do them by yourself. 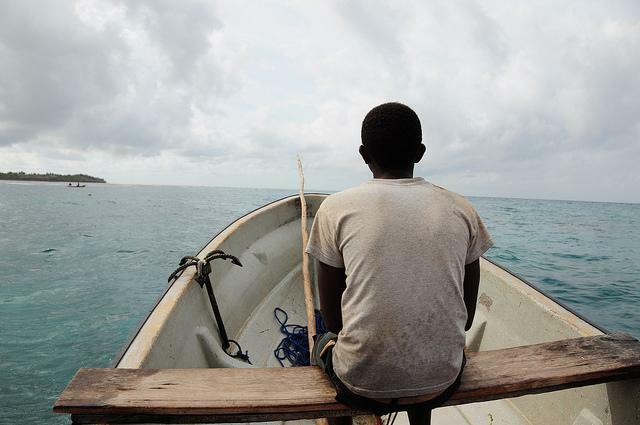 For example, you can get a guide in town to take you to Prison Island – but you can also go to the captain of one of the many boats and negotiate the rate directly (approx 50,000 TSH). Snorkeling at Mnemba Island is best done from Matemwe village, Blue Lagoon snorkelling is near Michamvi and the famous The Rock restaurant. Anywhere along the East coast, you can also do snorkelling with a fisher boat so find them on any beach and negotiate a nice fee directly with them (for 15,000-20,000 TSH per person you will find someone on the beach to take you out on the sea, a bit more for Blue Lagoon). 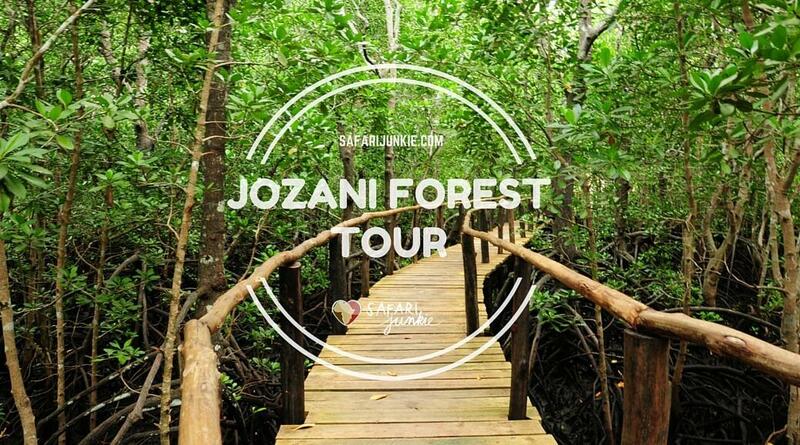 Trip to Jozani Forest can be done by public transport but then you might need to plan most of the day. If you don’t want to do it all yourself, you can get someone else to do the tours for you. 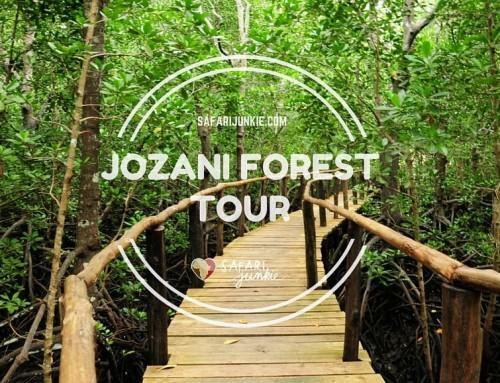 The tour operators and hotel-affiliated tour guides tend to be pricier, so the cheaper option is to go with one of the beach boys or papasi in town. They tend to offer better prices, fully aware of the prices in hotels and guesthouses, but when you deal with them directly, make sure that you agree on what is included beforehand to avoid any negative surprises (if someone in Paje offers to take three of you to Jozani Forest for only $30, that is probably only the taxi but nothing else included). 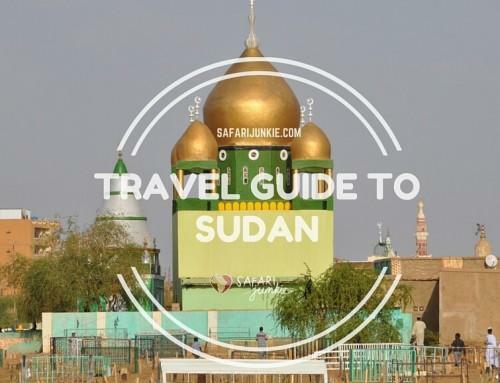 Also, NEVER give any money beforehand – they can ask you for money at the beginning of the trip to pay as you go along, but there is hardly any reason to take any deposit. 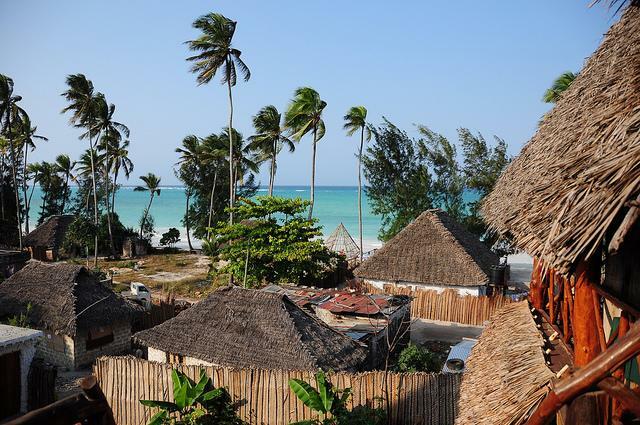 Most places now have Internet on Zanzibar, but not always the backpacker places. However, since every hotel has caught on to the Internet addiction of travellers, there is usually free Wifi available everywhere as long as you consume something. Even a soda or water is enough if you need half an hour free Internet. Amazingly, considering that everything else seems to be more expensive in Zanzibar, there are free hotspots in Stone Town, at least in the Forodhani Garden, Mercurys bar, Travellers Cafe, Tatu Bar.. (tip: check where all the locals are sitting and staring at their smartphones). If you are backpacking on the East coast of Zanzibar and happen to be around when the low tide falls right into the middle of the day, no panic. There are a couple of hotels that are happy for you to use the pool for free as long as you drink or eat something. Just ask, that is for free anytime. Ask the locals, but not those in the hotel or on the beach. Buy fruits on the road, let them practice their limited English, ask them what they enjoy (and not what they think the tourists enjoy) – the more friends you make, the more options you have! 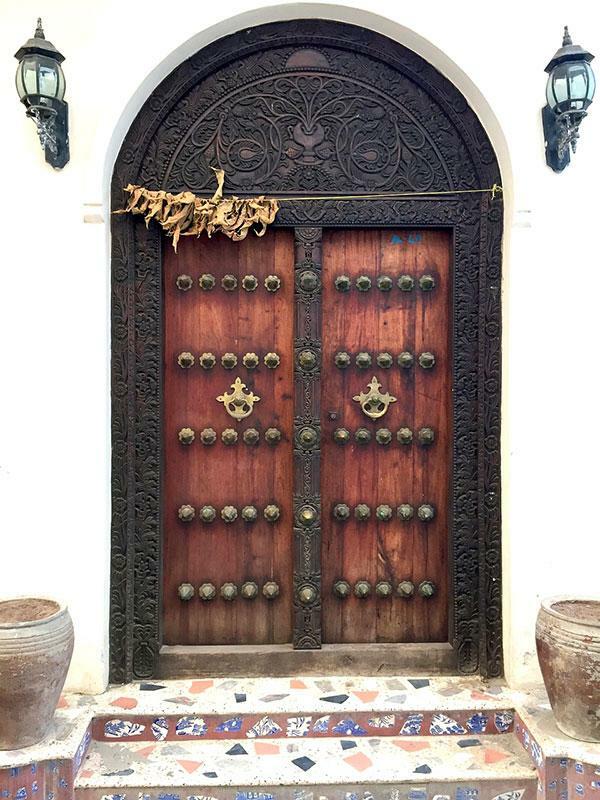 Written by: Sine Heitmann – Expat in Zanzibar for 5 years. Married to Zanzibari, mom to little daughter. 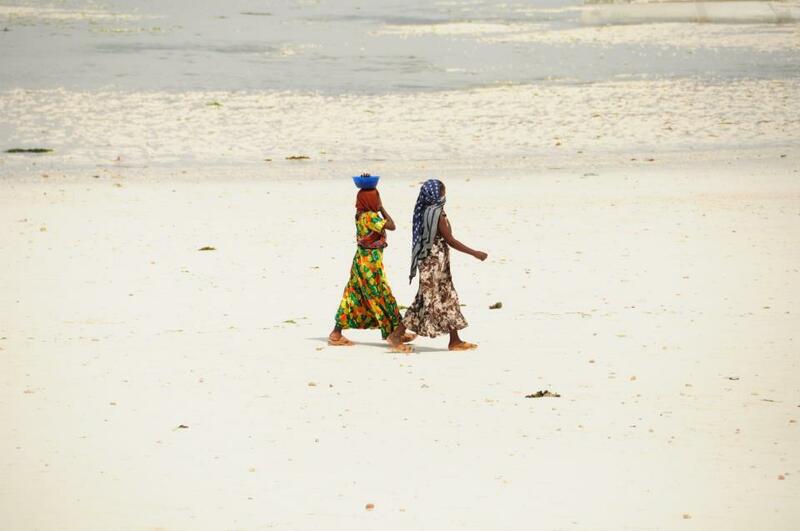 Living and working on the South East Coast of Zanzibar, finds it fab. Great review!! Just a question: is it still worth to visit Zanzibar in March/April/May to enjoy a bit of sun and sunbathing on beach? Thank you so much for this review. I appreciate any kond of feedback! In my opinion, any time of the year is good for Zanzibar. You have the main rains any time between March and May, but usually the rain comes early morning and disappears by lunchtime. There is only about one or two days where the rain doesn’t stop. Also, the North and the West coast always get much more rain than the East coast. Bring a good book for the rainy day, but do come during that time – it is beautiful! Thank you for your guide. 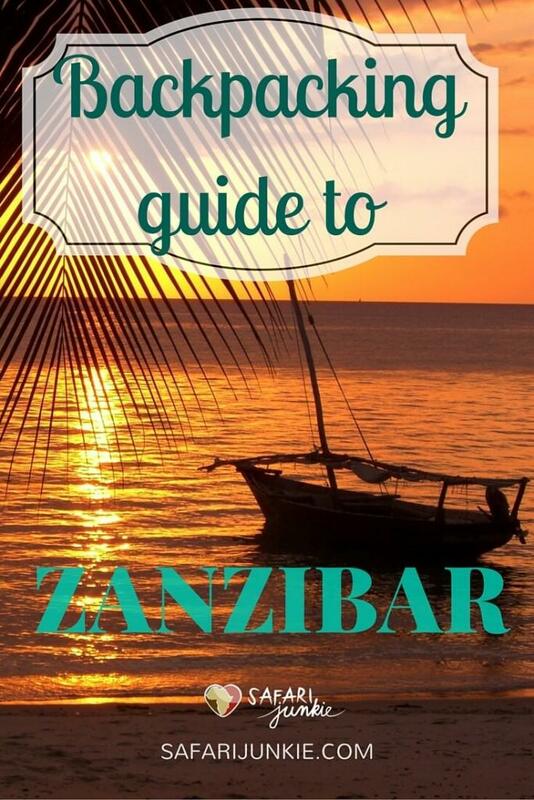 It’s fantastic information and I can’t wait to get to Zanzibar in Feb! Does anyone know about camping options? I hear it’s forbidden in public areas, but private areas are OK. Does anyone know the true legal information regarding camping? Great article! 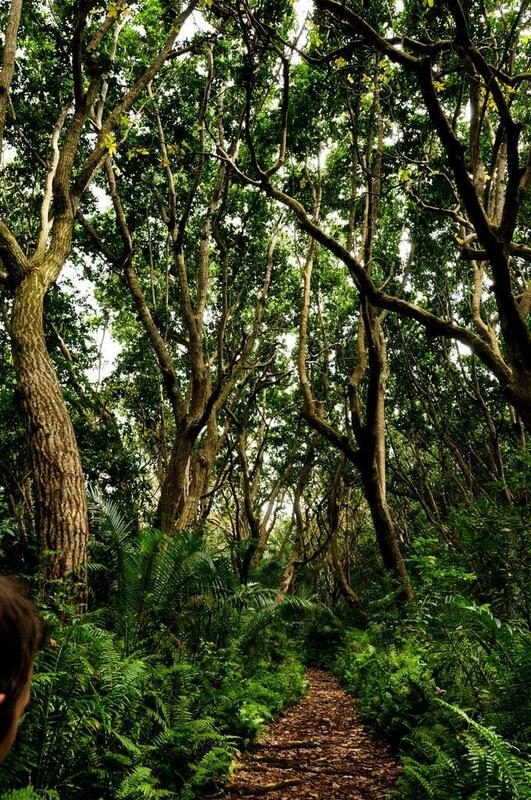 I love reading about less-traveled destinations and what it is like to travel there. Another fantastic detailed guide. I have pointed some young cousins your way this time! This is a really useful guide. I particularly like the way you include budget options and encourage readers to use public transport. 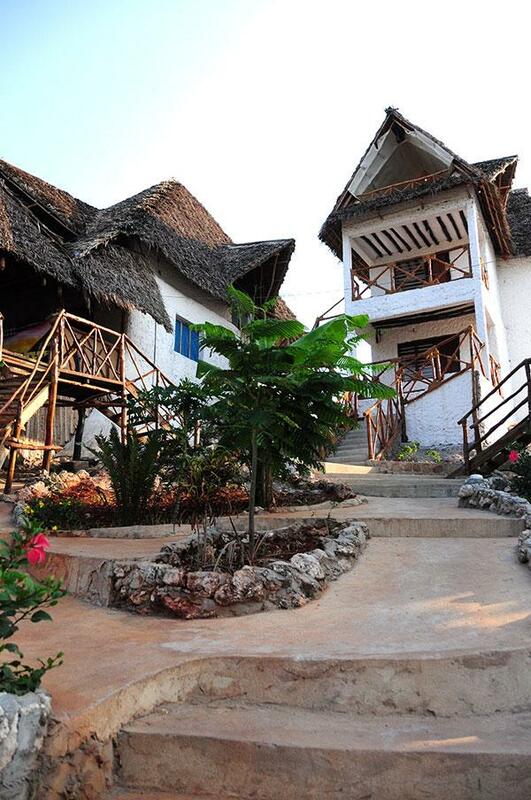 You can always find budget options on Zanzibar of course with some compromises. Rainy season on Zanzibar is not at all something terrible. A bit of rain, more showers and then sunny again, except in March and maybe April sometimes..
I’ve always wanted to visit Zanzibar but for some reason never made it there. It looks idyllic. 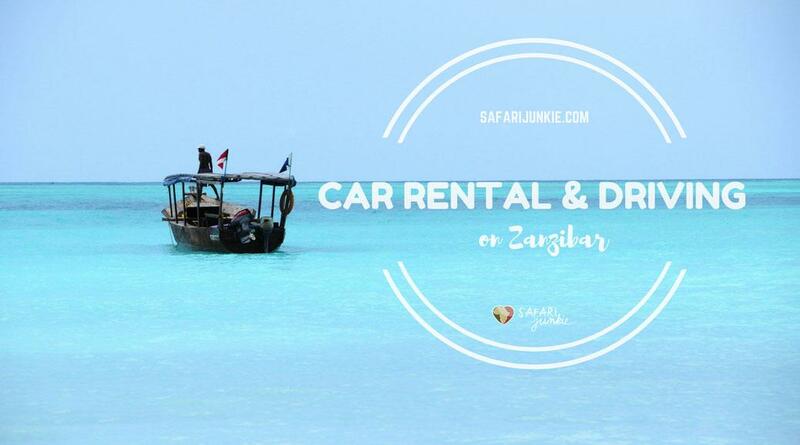 I didn’t know Zanzibar was such a popular spot for budget travellers! There’s lots of useful information here. Im so glad I found this page with alot of good tips! From what I can read, I understand that when it’s the rain seasons in doesn’t rain all the time? I’m planning to go in the beginning of November cuz that’s when I got off from work. So my question is to you all experience guys if it rains all the time in November?has anyone been there in November? November is ok, i have been there almost in all months except from March to June and if it rains its a shower 20 minutes then its so hot you will forget within 20 minutes it actually rained. No worries about the weather on Zanzibar in November! 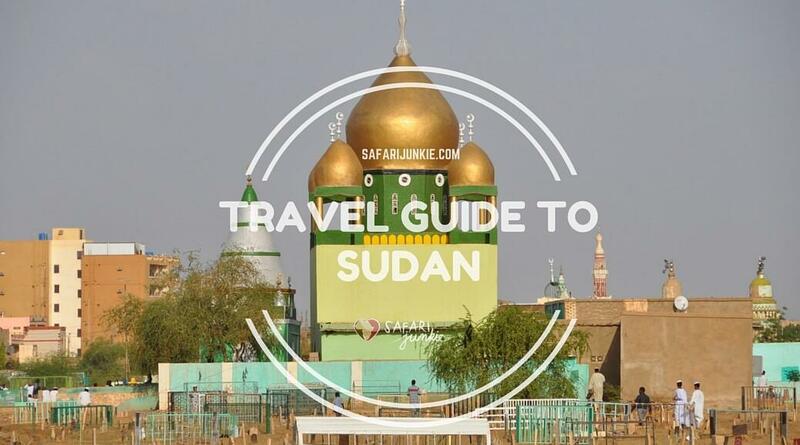 Thank you soooooo much for this post…Planning on visiting before end of year and this just made my planning easier. Do you guys organize the whole trip? Ive heard of a backpacking/ camping tour in zanzibar while canoeing. Do you guys know about stuff like this in zanzibar? hi Marnus, I am not familiar with any canoeing tour on Zanzibar. Thanks a lot Sine,now high chances I will go to Zanzibar along with some friends(15) in December. Hi, tks for the information! I heard about a slow ferry at 12h departing from Dar, that takes 4hs. Do you think is ok or the conditions are veeeery bad? 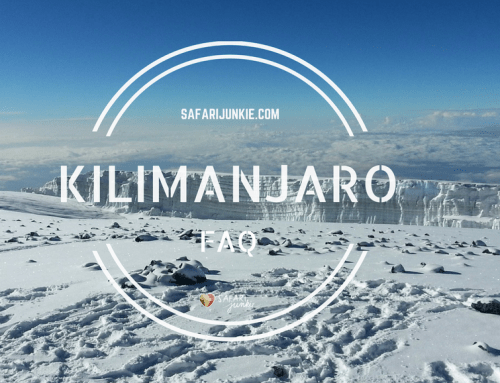 Hi, I have no idea, I usually use Kilimanjaro ferry. 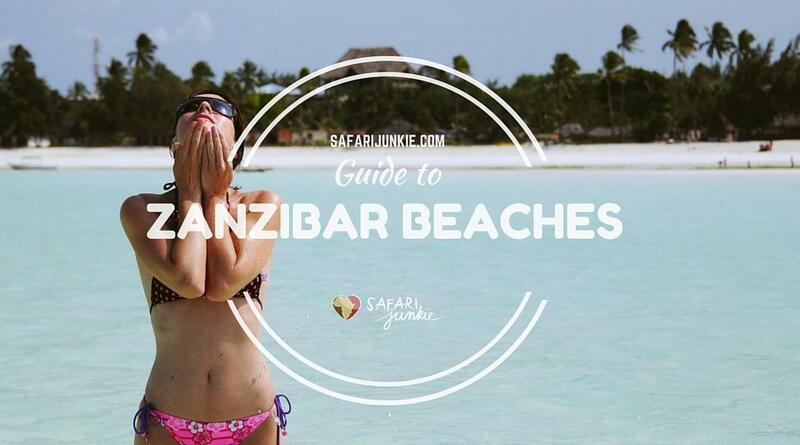 This is, by a mile, the best article for advice on Zanzibar I have come across. I have searched and searched for hours but YOU give actual detailed advice – not just the “useless” – “you can get a dala dala everywhere, they’re very cheap”. 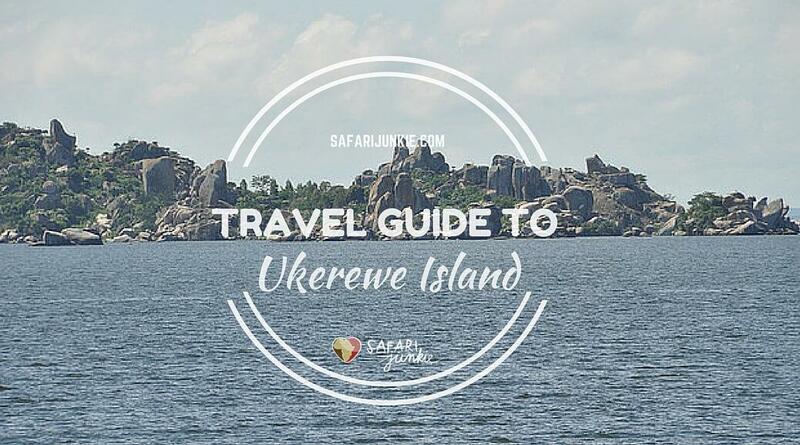 Now I know exactly where the main terminal is in Stone Town, and where the other terminal is for the south east.And much more useful information as well. My Ugandan girlfriend and I will be there in Jan/Feb. Any other tips we find useful, we’ll pass on. Hi Richard, thanks for reading the blog and am pleased you found information helpful which is the purpose of this website:) Hope you enjoy the Zanzibar!